Starshot Software is a full-cycle outsourcing software development company located in Europe and USA. They deploy a highly skilled 60+ employees (programmers, managers and UX/UI designers and consultants) with in-depth industry-specific knowledge that will help their clients materialize their projects. 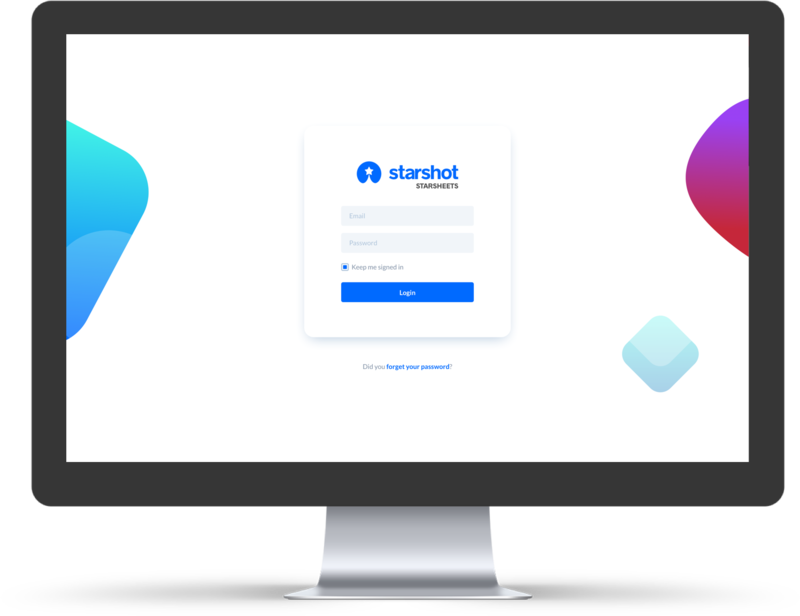 Starshot employees are located either in their offices or working remotely from more than 20 cities around the world, determined to serve projects that surpass client imagination. Currently, there is a great variety of applications for time control, but they all have problems such as their lack of functionalities or their complex UIs. For this reason, we decided to think of an effective way to control these aspects, to unify the control flow of time and vacations, simplifying the flow of information between users and managers in a comfortable, simple and effective way. 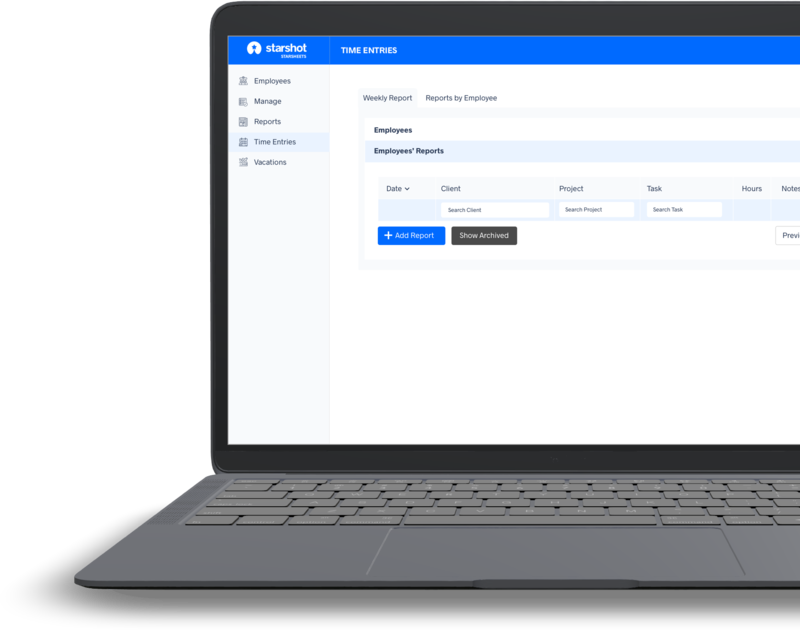 Provide an application with all the necessary functionalities for time control, where users can register their journey in a simple, clear and concise way. 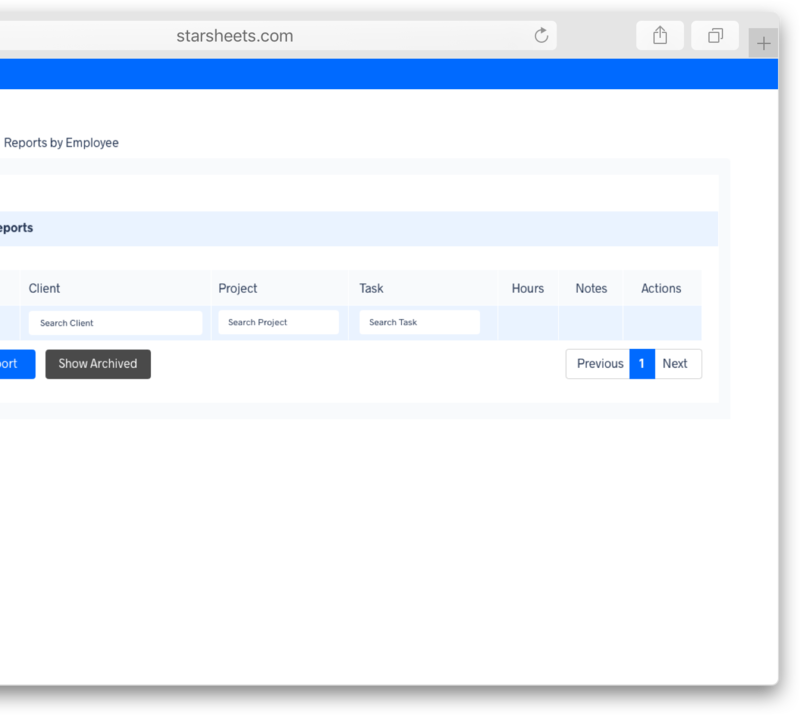 On the other hand, give managers a quick and easy way to keep track of each of the company's projects, visualize statistics and manage vacations, providing a high added value of integration, flexibility and control. 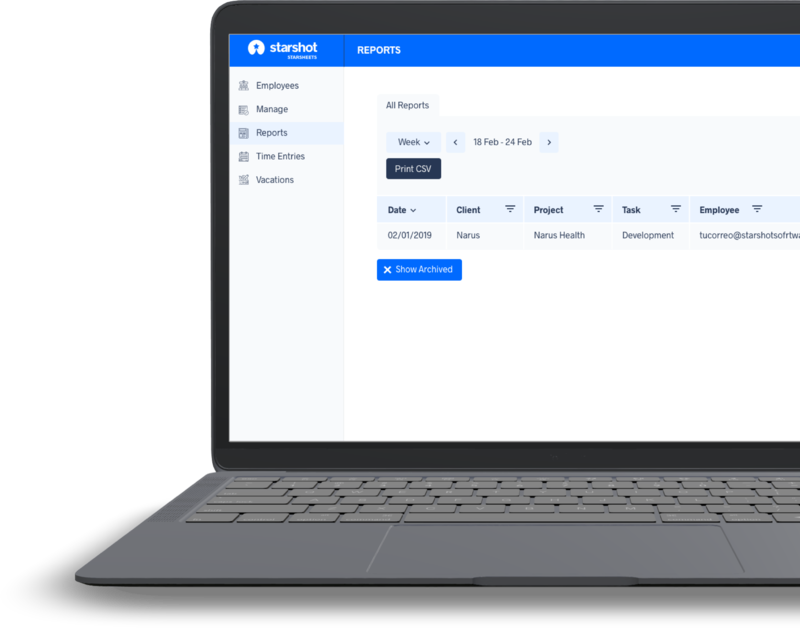 Employees can manage their work hours and vacations in the same platform, providing a quality work follow-up to the company. Costs and times are reduced by providing an easy and intuitive solution adapted to the market.